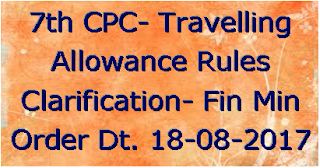 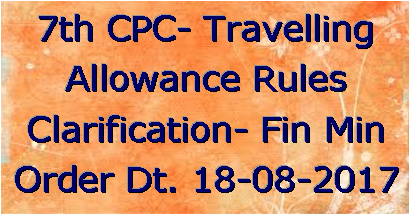 Subject :- Travelling Allowance Rules — Implementation of the Recommendations of the Seventh Central Pay Commission. 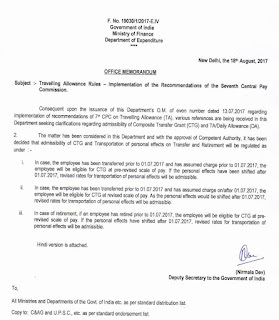 Consequent upon the issuance of this Department's O.M. 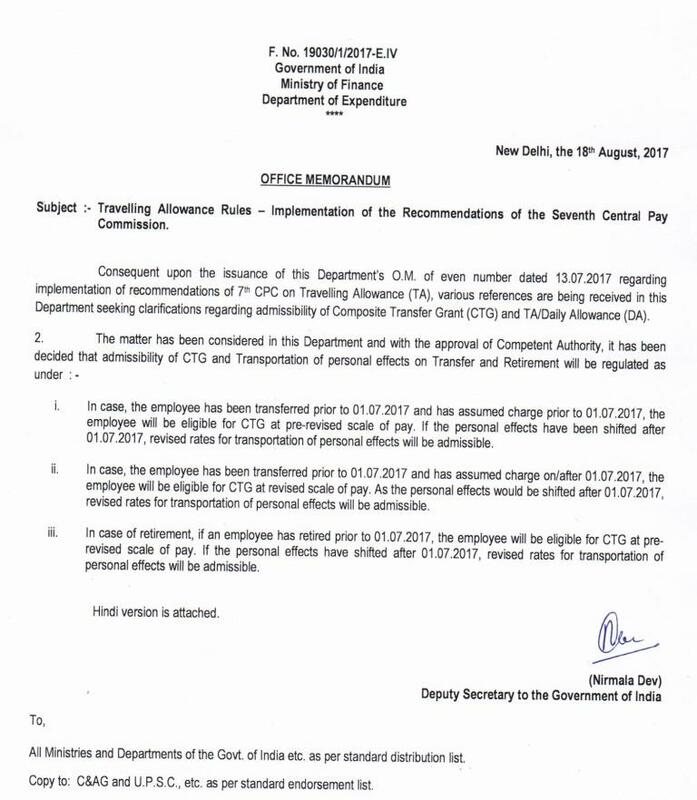 of even number dated 13.07.2017 regarding implementation of recommendations of 7th CPC on Travelling Allowance (TA), various references are being received in this Department seeking clarifications regarding admissibility of Composite Transfer Grant (CTG) and TA/Daily Allowance (DA).